Several organizations use Office 365 to run their day-to-day operations. Importing your contacts and employee information into Zoho Books from Office 365 is quick and easy. Import all your contact information from your Office 365 account. The email address associated with this account must be same as the one used to log into your Zoho Books account. Have a different email address? Click on the Store icon and type Zoho Books in the search box. Zoho Books app will appear as part of the search result. Click on Zoho Books and click Add. Now, Zoho Books will be added to your list of apps. Once your Organization is created in Zoho Books with Office 365, you can directly invite employees in Office 365 to Zoho Books. 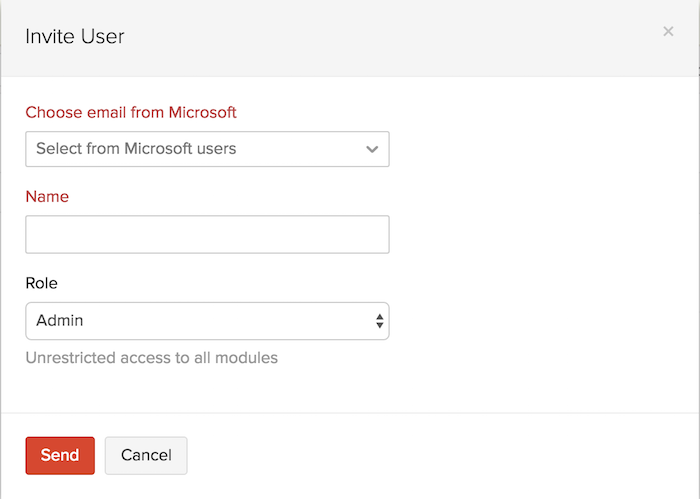 In the pop-up window that appears, click on the Choose email from Microsoft drop-down and select the user role. Click Invite to invite the user. With Zoho Books - Office 365 integration, you can import all your contacts from Microsoft People in one go. Click on the Contacts tab on the left sidebar. This action will take you to a Map Fields window, where you can map matching input fields between your Microsoft and Zoho Books account. 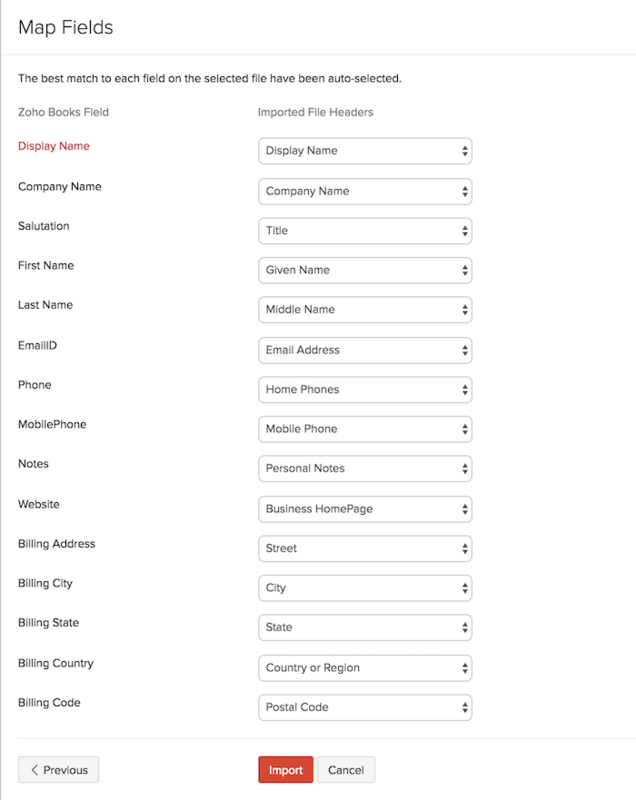 This action will import all the selected contacts from your Microsoft account into Zoho Books.